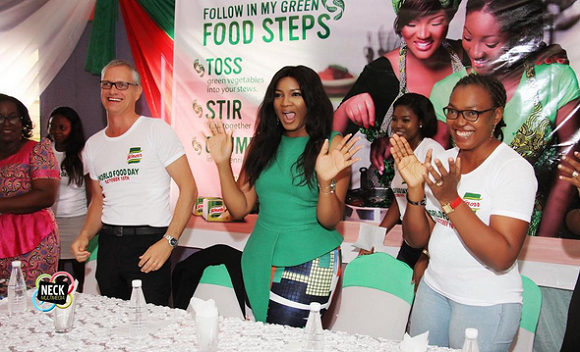 Nollywood actress and philanthropist, Omotola Jalade Ekeinde was at a shareameal event hosted by Knorr Nigeria in Marigold College, Oworosoki, Lagos with the president of Unilever Africa. 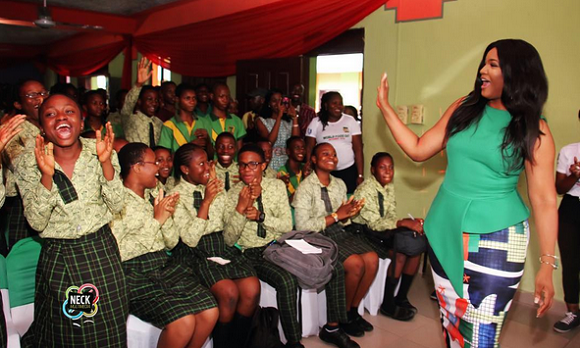 She showed off some of her dance moves with students during the event. See photos below..